Sign-up without obligation in the form below or review our presentation for more information. 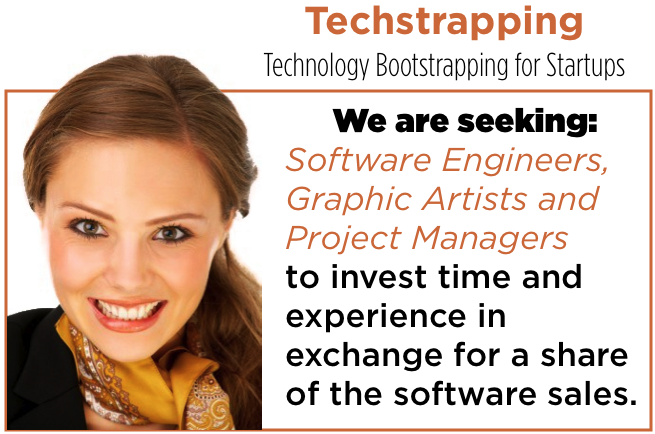 Participate in a short conversation to exchange ideas and match you with the perfect project. Find a project that you share in the vision then sign onto the team. Quick, easy encapsulated product to see what is going on and to be able to focus on areas of employee development. It drives managers toward looking at their team holistically and to create clear goals in a very visual way. Techstrapping is a trademark of Nextdrift Technologies, llc.